Spring hockey is right around the corner and Yeti Hockey is going to Cali! 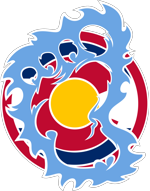 Tryout registration for the Colorado Yeti Spring Hockey is now open for the 2017-18 season. Highlights of this year include a trip to Anaheim, California for the Spring On Ice Tournament put on by the Jr. Ducks organization. Coaching Additions include Zach Kihle (NCAA D3) and Riley Hillis (WHL) as they bring their knowledge of the game to our players this year. Yeti Hockey is also officially adding a U12 girls team this spring as well, with some sweet custom jerseys to out fit the Lady Yeti as well! Yeti South also joins the mix this year as Chris Gassman and Matt McGregor of the Junior Eagles Hockey Association lead the Yeti to make a mark on the west coast.